Students will be expected to bring their own protective gear for sparring in class. These can be bought through the club at a discount, or obtained from martial arts shops or internet retailers. Sparring gear should conform to a recognised standard such as EN ISO 13277 or similar, be in good condition, and not present a hazard to the user or others. 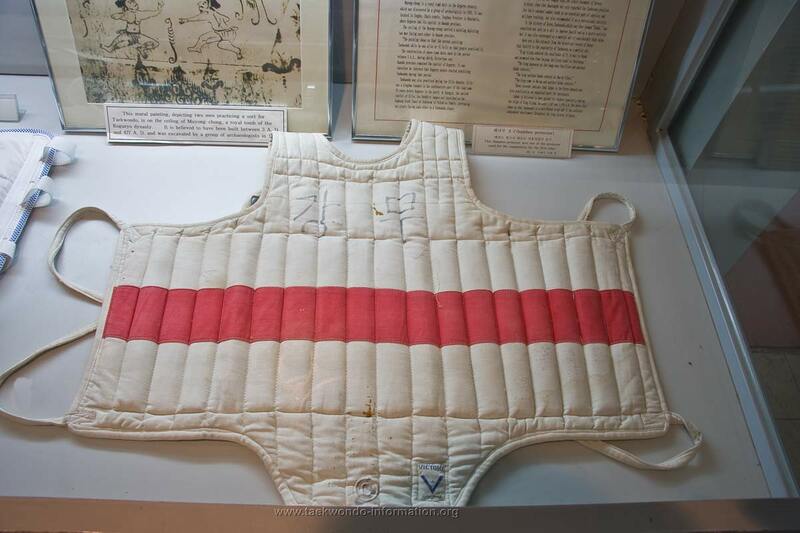 Groin and chest protectors are available for ladies, and may be worn if you wish. Gentlemen may wish to wear a groin guard for club training, as unfortunate accidents can and do happen. Gumshields are not mandatory for training, as contact levels are kept low enough for them not to be required, but may be worn if you wish. The club owns a number of headguards, and a couple of sets of foot & hand pads which may be borrowed during training. However, numbers are limited, they are distributed on a first-come-first-served basis, and the rules on unpadded sparring apply even if you were relying on borrowing club gear and miss out. In addition, they get awfully sweaty in use and are not washed afterwards, so be warned! Students entering tournaments are advised to check the rules or consult the organisers to ensure that their equipment will be acceptable before the event.